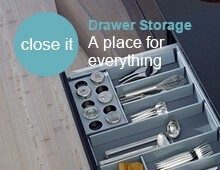 What a great idea – kitchen drawer organisers that not only hold bottles securely and safely, but incorporate pan storage (or other large item storage) too; problem solved. 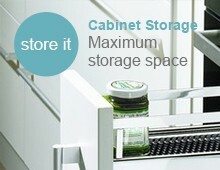 If only all kitchen drawer organisers were so versatile. 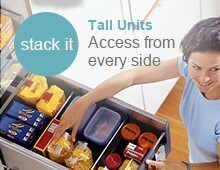 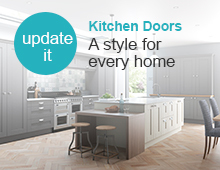 Fitting into Tandembox 800 to 1000mm wide drawer systems, these kitchen drawer organisers are practical and time-saving. 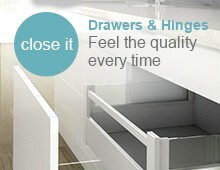 Pull open the drawer, and all the contents are readily to hand. 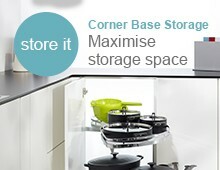 The pan storage area holds additional items securely and rattle-free.